As part of #scienceathon, I want to give some context to my work. My PhD is in sociology, but I work in a communication department (for 13 years I was at Northwestern University in the Department of Communication Studies, for the past year I have been at the Institute of Mass Communication and Media Research at the University of Zurich). In 2002, when I was on the job market, colleagues in communication seemed much more interested in my work than sociologists so I decided to pursue that route. Of course, some sociologists were very supportive, including my wonderful advisor, but others seemed to see any study of the Internet as a joke. I still remember an interaction in 2008 (!) where a well-known and very established sociologist introduced me to her sociologist colleague using very kind words to describe my work only to have said colleague laugh as though the introduction was meant as a joke since how could a sociologist possibly take the Internet seriously? A few awkward moments followed, but I wasn’t new to it (although a bit surprised for it to continue happening). In any case, I’ve very much enjoyed being in this line of work. But skepticism likely still exists. 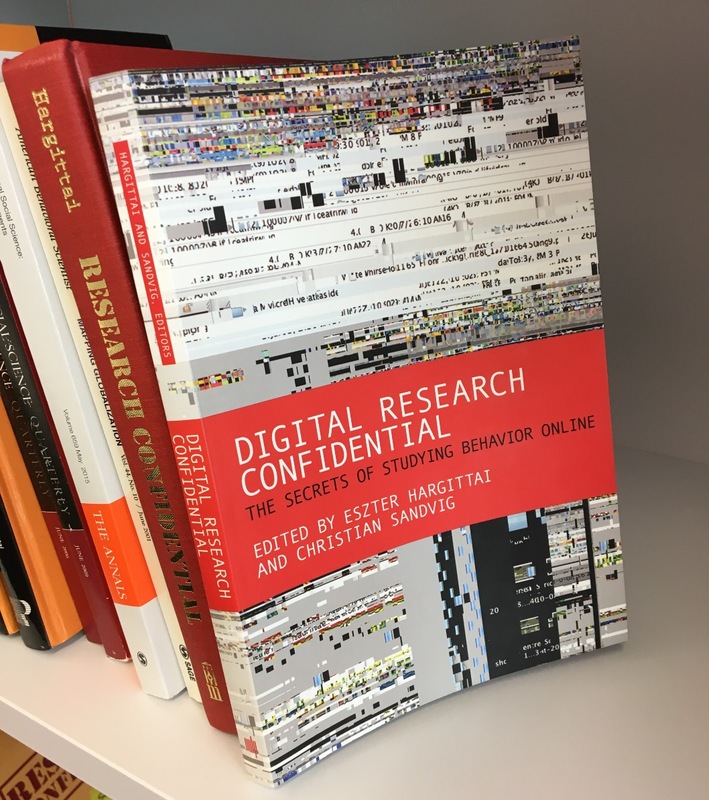 Although addressing the skeptics wasn’t really our goal, the introductory chapter [pdf] my co-editor Christian Sandvig and I wrote to our edited book Digital Research Confidential can serve as some guidance to such people as well. In it, we discuss the Internet as instrument and the Internet as object of study. We thought it was a helpful intro to the ten chapters that follow describing the behind-the-scenes details of how empirical social science about studying behavior online gets done. I thought it fitting to post about it as part of Science-a-thon since this day is about how researchers work and that entire volume is about the messy reality of everyday research endeavors as compared to the polished versions we see in published accounts. You can contribute to Science-a-thon here. I have a (not fully worked) out idea that the Internet was problematic for sociologists (CT company excepted) in the early days because many Internet users knew more about (popularised versions of ) sociology than most sociologists knew about the Internet. For example, bloggers were talking about hyperlinkgs as gift exchange at a time when most sociologists didn’t know what a blog was.